Learn more › Digital marketing tools offer a modern and cost-effective way to warm up leads and keep them coming back. Harness the latest marketing technologies to your advantage and stand out from the competition. 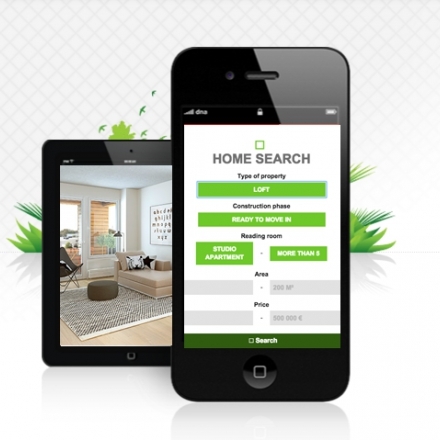 Decision-making in real estate is highly influenced by digital information. 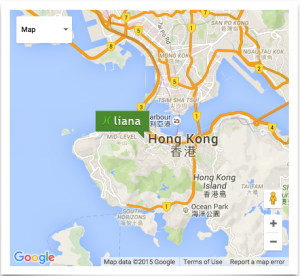 In Hong Kong alone, hundreds of thousands of search engine queries related to real estate are made every day. The queries continue to grow by double digits, mainly driven by mobile. Email marketing remains the best digital channel in terms of ROI. Build and refine segmented, high-quality email lists. 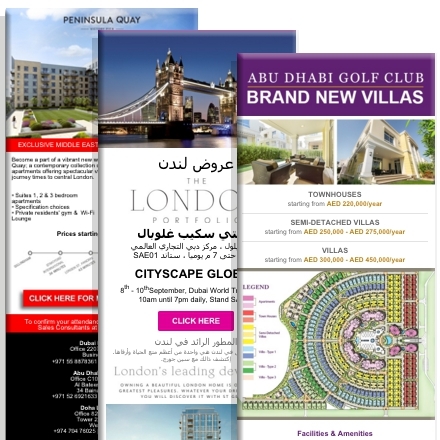 Offer exclusive, targeted content supported by modern, mobile-friendly marketing technology. Improve customer experience with advanced segmentation and timely lead nurturing. Stand out from the competition. Don't spam, spray and pray – instead offer the right content at the right time. Stylish and mobile-friendly eDM templates built with your brand look make sure your brand image is consistent on all mobile devices. Modern and user-friendly drag & drop editor: composing emails is easy and resource-saving. Segmentation module to send highly targeted emails based on property interests. Personalization of the content for different target groups such as rental and sales customers or residential and commercial real estate segments. Top-notch reporting tools to analyze your results and ROI. Keep prospects up to date on properties of their interest by automatically compiled RSS-newsletters. Integrate with your CRM for in-depth customer insight. More often than not, a potential customer disappointed with the online user experience of a website will leave within seconds - and choose a competitor instead. Show your properties thoroughly in beautiful photo galleries - complete with video. Efficient search functions help the customers find exactly what they are looking for - and set up alarms or automated eDMs with certain criteria straight to their email. Make sure your website functions perfectly on all mobile devices and is found by search engines. Automate customer service by setting up auto-responders. Monitor, segment and track the visitors to determine your marketing ROI. Full training, online support chat and your own account manager always at your service. Selling high-end and luxury real estate? Focus on luxurious design and top-notch technical solutions - ask about our special services for the luxury industry. Interested in learning more? Request a free demo.